Marketing automation apps are crucial for small businesses as they help in automating marketing & sales related tasks. While traditionally sales team use CRM app to generate leads and track the progress in the sales funnel, the marketing activities required to convert them into customers has also become an integrated process. Automation apps help the marketing team get rid of monotonous tasks like rule-based lead nurturing activities and focus more on core marketing tasks. Important marketing activities in which automation programs add value are email marketing, campaign management and ROI tracking. GetResponse platform consists of email marketing and online campaign management to enable small businesses to grow their sales, maximize ROI and succeed in online marketing. Its popular for its email automation features. GetResponse has ‘workflow builder’ which helps in creating ideal conversion funnel. After setting up, workflow builder can send coupons, social media links, welcome emails, newsletters etc. In-built colorful email templates makes this job even more easy. It also has ‘Email ROI’ feature which enables you to track the email campaigns. You can also track the visitors on your website and uncover those visitors who are visiting frequently and how they are interacting with the website. To ensure marketing automation efforts are run without any issue, GetResponse provides customer service through live chat, phone and email. Based on list size and features, they have different plans to offer, for growth focused marketers and Small businesses they have pro package which is priced $49/month for list size 5000 covering most of the required marketing automation features. Mailchimp provides beautiful email templates which are easy to use (drag and drop) and help connect with the leads. Welcome emails, coupons, back-in- stock alerts etc. are some of the useful features. Emails can be targeted at customers based on behavior, preferences. In addition, Mailchimp supports multi-user login, so this can be great for team collaboration. The most exciting news is that all the marketing automation features are free for all MailChimp users irrespective of the plan you are already using. Mailchimp helps in pre-filling personal data in the form fields through ‘automation pre-population’ which means once a form is completed by a lead, additional forms in the future are pre-filled with their data (helps in conversion optimization). Mailchimp has developed machine learning capabilities to continuously test open rate, click rate and timing to further optimize conversion. Apart from this, the mobile app also lets you access all of these features and work on the go. It is a one-stop shop for all automation needs — from generating leads to building landing pages. It is particularly popular for maximizing site performance via streamlining A/B testing of landing pages. Moreover, content calendar feature enables you to manage content easily. You can also buy specific bundles like mobile marketing, email marketing, lead management etc. Since 2015, Marketo has been introducing new mobile features that help digital marketers stay on top of the latest mobile trends. The application can be easily accessed on a mobile, tablet or phablet device and campaign assets created using Marketo are optimized for mobile devices by default. It creates a lead score based on marketability, factoring demographic and monitoring the interests of prospects. This helps Sales representatives to identify valuable prospects and offer targeted assistance. Marketo has also developed a product called Spark targeted for small business which allows you to set up and monitor any type of marketing campaign. Spark includes lead scoring and insights, inbound marketing, lead nurturing, email marketing, social media and event marketing as part of its suite. Hubspot has very intuitive user interface; its dashboard displays campaign analytic data which helps in managing the marketing plan. After setting it up marketing team can manage it easily without requiring any training. Hubspot is very attractive option for small business seeking all-in-one solution for inbound marketing. Primary reason being the suite of essential tools which integrate well with one another and provide a holistic picture of how marketing plans are performing. 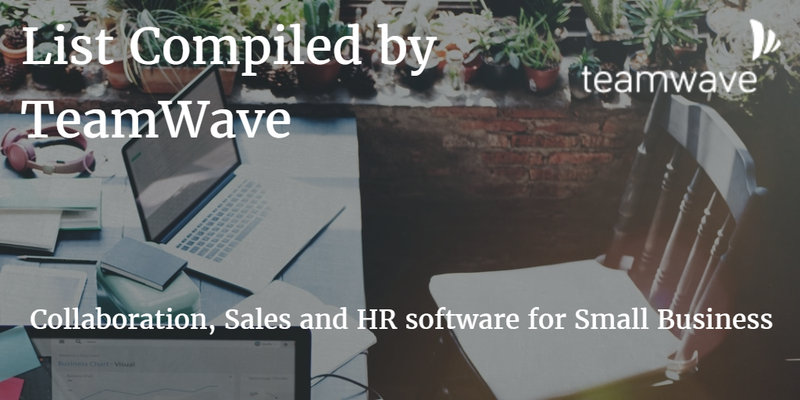 This cloud-based app has marketing tools, automation, CRM and email marketing consolidated into one which allows contacts to be easily transferred to marketing funnels resulting in better customer tracking and email communication. Pricing for this software is based on the features and the number of users, however some basic features are provided free of cost. ActiveCampaign provides two-pronged solution – email marketing and marketing automation. It allows you to send newsletters, maintain contacts, and automate your marketing campaigns via rules. In addition to multi-language support, this tool helps you create visually appealing dynamic email content, generate insights by tracking audience behaviour and demographics. The live user support is a great value addition considering it can help you move quickly in case of any ambiguity. For $9.00 per month, you can subscribe to its Lite package which is the base plan and send unlimited emails to up to 500 contacts. Pricing increases depending on the type of feature, the number of subscribers and the number of emails. Irrespective of the marketing automation app you select, make sure you’re getting the most out of the tool. Note that these are just five of the prominent tools among several other options.